Byerly made the following remarks about each administrator at the dinner. Since joining Lafayette’s staff in 1984, Laurie Chisesi has been a dedicated adviser of the College’s students and prospective students. As a supervisor at Skillman Library, she guided students in their work. In her various roles in Admissions, she supported them in their decision-making about the college they will attend and created inspiring experiences that elevated Lafayette in their esteem. In her roles in Financial Aid, she ensures that prospective students and their families receive the resources they need to help these deserving students realize their dream of studying at Lafayette. After working with the Financial Aid team since 1997, Laurie was named Senior Associate Director of Financial Aid in 2014. As a supervisor of the counseling staff, she is a capable mentor and leader and sets a very high professional standard to which the entire counseling staff aspires. Laurie also is highly respected by her peers at other academic institutions and often serves as a resource for them. Currently, she manages a caseload that has grown by 112 percent over the past eight years. In navigating this volume of work, Laurie has demonstrated creativity, initiative, and ingenuity. 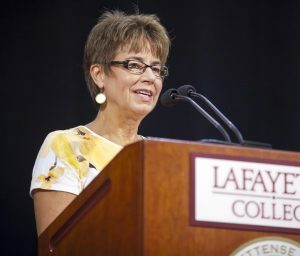 Throughout much of her tenure at Lafayette, Laurie has served as Financial Aid’s liaison with Lafayette’s Athletics Division. In this role, she has provided dedicated support to Lafayette’s coaching staff by defining the admissibility and financial need of student-athletes who are being recruited. Her efforts have supported the Leopards’ success. Laurie, we have appreciated your dedication over the past 34 years to making a difference for our students and your colleagues. In your retirement, we hope you enjoy lots of time at the beach with your family and that we have the pleasure of your company at campus events and as we cheer the Leopards on to victory. Marie Enea has set an aspirational standard for loyal service and enthusiastic collegiality for our community. During her almost 25 years at the College, she has made a lasting impact on the Lafayette experience. A warm and gracious co-worker, Marie makes everyone feel welcomed and appreciated. During her tenure, Marie has filled key administrative roles for Lafayette’s Registrar and Dean of the College and has managed the logistics of the College’s major events and the scheduling of our facilities. 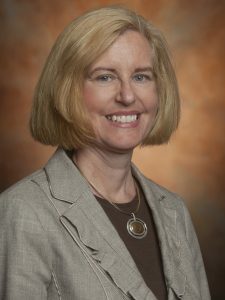 As a result of her remarkable service, she was promoted to Secretary to the Dean of the College in September 1995 and Administrative Assistant in the Special Programs Office in April 1998. In December 1998, Marie was recruited to join the Office of the President by President Arthur Rothkopf ’55 and was promoted to the newly created position of Scheduling Coordinator. Highly effective in her role, she was promoted in July 2002 to Manager of Scheduling and Events Planning. In July 2006, President Dan Weiss appointed Marie as Assistant to the President, a position in which she assisted the President and our Board of Trustees as they managed the College and advanced our strategic initiatives. Because of her exceptional contributions, Marie was promoted in July 2015 to Executive Assistant by President Alison Byerly. Marie received the Aaron O. Hoff Award for Staff Member of the Year in 2000 and the Fleck Administrator of the Year Award in 2006. As a member of the 150th Task Force, she also received the Daniel H. Weiss Award in 2015. For so many critically important College events, Marie capably filled the role as hostess extraordinaire for the Office of the President. During those special events, there was always the highest level of confidence that everything would be perfectly orchestrated and, even when the unexpected occurred, that all would be effectively resolved. The warm thanks and signed photos that Marie received from visiting luminaries like Jimmy Carter, Joe Biden, Mikhail Gorbachev, Tony Blair, Jane Goodall, and Tom Hanks are a testament to her ability to make every visit special for Lafayette guests. In 1988, Karen Forbes was hired as a Counseling Psychologist at Lafayette. In this role, she counseled students and created educational programming to support them in achieving their academic, social, and personal development goals. She also collaborated with faculty, staff, and parents to promote student wellness. 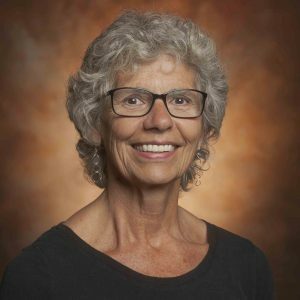 As a result of her keen insights and dedication to Lafayette’s students, Karen was steadily promoted until being named Director of the Counseling Center in September 1998, a leadership position which she held until her retirement in January 2018. A visionary who was dedicated to supporting the success of our students, Karen was passionate about using her skills to enhance the full spectrum of co-curricular experiences offered by the Student Life Division. During her tenure at Lafayette, Karen was a driving force behind the application of data-driven decision-making in assessing the impact of Lafayette’s Student Life programming. She proposed and then led the creation of the Student Life Assessment Committee, which considered planned outcomes for Lafayette’s co-curricular experiences and assessed whether those outcomes were being fully realized. The goal of this effort was to gauge the effectiveness of the programming in fostering an environment in which students are challenged to deepen their understanding of themselves, others, and the world. Karen also led the effort during the Middle States process to articulate the very successful role of Student Life. Beyond her role with Student Life, Karen was a committed partner to academic and other departments at Lafayette. A valued Lafayette administrator, she was recognized with Lafayette’s Distinguished Service Award in 2008. Her expertise also was highly regarded across the entire LVAIC community. Karen, thank you for the transformative impact you had on the student experience at the College. You are missed at Lafayette. 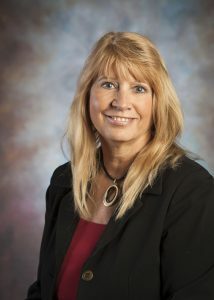 Throughout her tenure at Lafayette, Linda Jroski was highly dedicated in her service to the College. Linda started her Lafayette career in 1987 as a Secretary in Athletics before transferring to Purchasing as an Office Assistant. Her exceptional efforts were recognized as she was promoted to Procurement Coordinator in 1995 and then Procurement Manager in 2005. 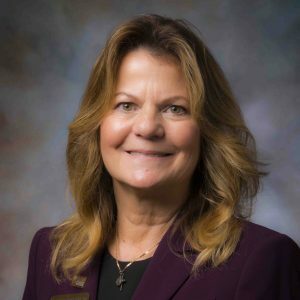 In these roles, Linda developed and administered all procurement-related activities for items, services, and commodities of the College, including implementing the procurement card program, which has now grown to several hundred cards. An enthusiastic member of the College’s team, she always had a highly positive attitude about her work and provided exceptional support and training to students, colleagues, and staff. During her tenure, Linda worked closely with the late Nancy Tregoe. Like Nancy, Linda was actively involved in the National Association of Educational Procurement (NAEP), serving for several years as President of the NAEP District II Region. 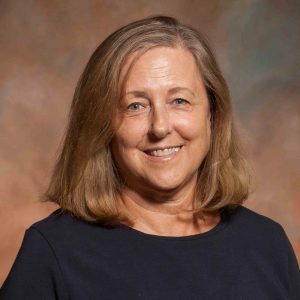 Linda was also a key member of the LVAIC Procurement Directors group for more than 20 years, assisting the group in developing and increasing the number and quality of collaborative shared services contracts and translating their value to Lafayette. The LVAIC Procurement Directors group honored Linda with the Nancy Tregoe Outstanding Service Award, which recognizes an outstanding contributor to the LVAIC group. Linda has a profound sense of fun and adventure. She went skydiving twice with her son and has great video to prove it. Linda is also part “cowgirl” and taught country line dancing as she toured with Crazy Heart, a local country band. Linda enjoys visits with her son in California and trips to the beach, where she plans to spend much more time in her flip-flops during retirement. Linda, thank you for your exemplary service to Lafayette and for your dedication to our community. You are missed. Since 1990, Donna Krivoski has been an inspiring and encouraging ally for our students and their family members. Her comprehensive vision has fueled the creation of the College’s Family Relations program, which is building relationships and enhancing the Lafayette experience for our students and their families. Her visionary efforts are so highly regarded that Donna is frequently invited to share her insights at conferences. Donna was the catalyst for expanding Lafayette Parent Day into Family Weekend, which offers opportunities for students to host their family members and enable them to feel the impact of the Lafayette experience. Highly creative and heartwarmingly dedicated to enhancing the College’s relationship with our families, Donna has found ways to infuse a Parent Relations component into almost every major campus event. The experiences and resources which Donna envisioned have greatly supported our families. She created the Parents Handbook and Parent Orientation Program, which familiarize parents with the Lafayette experience and prepare them for the first-year student transition. To keep parents connected, Donna also launched the Hill to Home e-newsletter. As the primary Lafayette contact for parents, Donna is gifted in offering her wisdom and encouragement to parents. Through her listening skills and heartfelt compassion, she supports and guides parents in being valuable resources for their sons and daughters as they navigate the college experience. Donna’s commitment to Lafayette extends far beyond her job title. During her tenure, Donna has lent her expertise to programs such as Lafayette Today and collaborated with the City of Easton on initiatives such as Lafayette Day. These special projects were highly successful in enhancing our connection with our neighboring communities and celebrating Lafayette. Donna, you will be missed at Lafayette. We have been touched by your efforts to support Lafayette families and your commitment to creating a home-away-from-home for so many of our international students. You and your yummy Pi-shaped chocolate cake are always welcome at Lafayette, even if it isn’t Pi Day. Since being named Assistant Dean of Students and Director of Residence Life at Lafayette in June 1985, Jim Krivoski has made a tremendous impact at the College. As a leader of the Campus Life Division, he guided generations of Lafayette students. His dedicated service to the Office of the President and his support of two Lafayette Presidents and the Board of Trustees helped advance the College’s most critical priorities. During his more than 30 years at Lafayette, Jim was steadily promoted through a series of positions, including Associate Dean of Students and Director of Student Life, Dean of Students, Vice President for Student Affairs and Dean of Students, Executive Assistant to the President and Administrative Secretary to the Board of Trustees, and Vice President and Liaison to the Board of Trustees. As his role evolved, Jim found new ways of supporting our community, and he made a powerful impact on every initiative and project he touched. 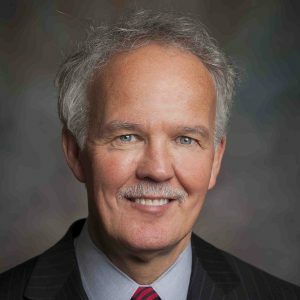 In the mid-1990s, he co-taught Education 309 with Dr. Mark H. Erickson, who then served as Dean of Students at Lehigh University. While it is easy for all of us at Lafayette to get caught up in the Rivalry, this course clearly demonstrated that even archrivals can make powerful allies when we set aside our biases and embrace the value of every opportunity. During the course, students gained a deeper understanding of higher education and considered creative responses to our greatest challenges. In 1993, our students, when asked to name the administrator who made the most outstanding contribution to the campus community, responded by nominating Jim. That year, the College’s faculty and staff joined them in recognizing Jim’s distinguished service to our community by awarding him the Administrator of the Year Award. Today, it is rare to attend an alumni gathering where Dean Krivoski is not mentioned with affection as an important mentor and friend to generations of students. Jim, thank you for your exemplary service to Lafayette. You will be missed. Bruce McCutcheon joined Lafayette’s team in 1990. Just over a decade later, he was promoted to Director of Athletics. 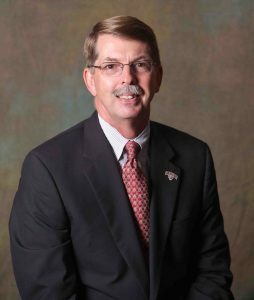 In this leadership role, Bruce advanced the College’s athletics programs through highly successful initiatives and enhanced Lafayette’s long-standing tradition of scholar-athlete excellence. His steadfast focus on the overall growth and development of Lafayette’s student-athletes is a testament to his commitment to leading an athletics program that is well-integrated into our students’ educational experience. Early in his tenure as Director of Athletics, Bruce spearheaded the creation of an athletic facilities master plan. Successes of that endeavor include the renovations of Fisher Stadium and Mike Bourger ’44 Field; several Maroon Club Strength Center renovation projects; transformation of a swimming pool to Weinstein Natatorium; and the additions of Bourger Varsity Football House, Kamine Stadium, a new softball stadium, and a new track and field complex. Bruce helped spur the transition from need-based financial aid to athletic scholarships in men’s and women’s basketball in 2008. He saw scholarships expand to football and several other sports in 2013. That same year, he was named the Under Armour AD of the Year. In 2011, Bruce was one of the dedicated collaborators who helped launch the Oaks Leadership Academy, a comprehensive four-year program to develop, challenge, and support student-athletes and coaches in their quest to become effective leaders. As a result of this highly successful program, student-athletes have further excelled in the classroom as Lafayette has consistently been a national leader in the NCAA Graduation Success Rate. Bruce’s most memorable achievement was the once-in-a-lifetime experience that he created in 2014 at Yankee Stadium for the 150th Rivalry game. During that game, which put Lafayette in the national spotlight, more than 50,000 fans watched the Leopards run away to a 27-7 victory over their archrival. Thank you, Bruce, for all you have done to advance Lafayette athletics. Since her arrival at Lafayette in June 1990, Emily Schneider has been a dedicated and effective contributor to the College’s efforts to create a transformative academic experience for our students. Through her steadfast support of Lafayette’s faculty and Board of Trustees, Emily has enhanced the College’s ability to recruit, retain, and honor a distinguished faculty. She also has used her gift for writing to create highly impactful communications for the Office of the Provost. During her tenure at Lafayette, Emily has been a valued contributor to initiatives undertaken by the Office of the Provost. For example, she managed the transition from a largely paper-based process in tenure and promotion and mid-term evaluation to a fully online process, making record-keeping and participation significantly easier. Emily, thank you for your inspiring contributions to Lafayette’s academic success. We will miss your wonderful sense of humor and your dedication to Lafayette. We hope your retirement will be filled with a herd of cats, a robust library of books, a bountiful garden, and abundant time with your crochet needles.